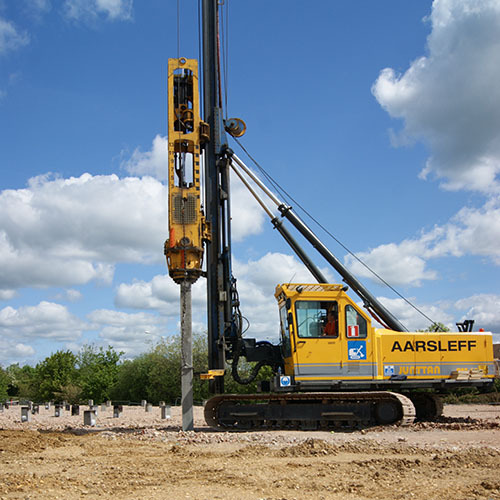 Piling and specialist ground engineering contractor, Aarsleff Ground Engineering, is a trusted and renowned piling contractor who offers a wide range of methods to lay the foundation for your building. With its in-house technical, estimating, design, manufacture and design team engineers, you can benefit from the best expertise for your project. Our aim is always to offer smarter and more sustainable solutions to the engineering industry. Specialising in the design and installation of piling, foundations, ground engineering, ground improvement, and geotechnical, we have the skills, knowledge and experience to work on a wide range of projects ranging from single plot houses to large residential developments.